How impactful do you think social media was during the recent US presidential campaign? I'm not referring to the tweets or posts of either candidate. I'm more interested in the celebrity endorsements, the influencer factor if you will. A quick search and count will tell you that Clinton out celeb'd Trump by an exponential factor. From Katy Perry to Jennifer Lopez. From the Kardashians to Tyler Oakley. From Lady Gaga to Beyoncé. 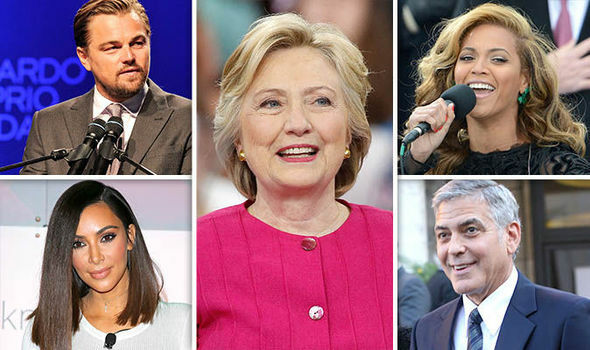 From LeBron James to Alex Rodriguez... she had all bases covered...age, race, actors, singers, athletes...all tweeting, posting, hashtagging...even doing thinly veiled public service announcements across multiple platforms to ostensibly turn out the younger vote. Clearly the millions of views garnered by the stars didn't do the trick... it didn't bring out the masses or ignite any passion for action. It's impossible to directly measure how many votes an Instagram video of Beyoncé telling people "I'm with her" yielded on Election Day, even if it racked up 2.2 million views. Now I say "seeming" because it does seem we can measure Beyoncé's effect on goods and services she might endorse and, of course, it's obvious that we can measure the very direct effect of her selling her own music and concerts. And therein, I posit, is the insight and the truth. A recent Pew Research Center report "The Political Environment on Social Media," is a must-read together with the Vanity Fair article. More than one-third of social media users are worn out by the amount of political content they encounter...Nearly twice as many social media users say they are "worn out" by the amount of political content they see in their feeds (37%) as say they like seeing lots of political information (20%)...59% say their social media interactions with those with opposing political views are stressful and frustrating - although 35% find them interesting and informative. On YouTube alone, users have spent over 20 million hours watching the presidential debate live streams...For the second presidential debate on 9 October, 63 million TV viewers tuned in, which was a 20% decline from the first. On YouTube, debate content, including all videos related to the debate, garnered 124 million views, a 40% increase compared with the first. Another 3.2 million tuned into Twitter's livestream and Facebook's Live broadcast partnership with ABC News now has 7.4 million views, according to Wired. There is where the two campaigns diverged. And there is where I think we have a lesson for marketers everywhere. Michael Cobb, associate professor of political science at N.C. State, said..."Ted Nugent shows up at a Trump thing, and he'll grab his crotch and yell about something, but that's not why people are there. They're there for Trump..." In other words, all of the behavioral research in the world couldn't stop a single star from glowing orange and cutting through the celebrity noise. He removes middleman when it comes to endorsements. Instead of the transitive property of Katy Perry ("I'm a Katy Perry fan; Katy Perry is a Hillary Clinton fan; I'm a Hillary Clinton fan), there's the much simpler "I'm a Trump fan" equation, for better or worse. Trump made himself the subject and sold direct. Hillary sold herself through a well-connected social platform that made her once and more removed from her potential buyers. Beyoncé and many others were the subject and Hillary was just another product they were selling despite their true desire to see her elected. It's marketing at its most basic and many have been bit by it. The balance between hero product and hero endorsement is delicate and critical. The message needs to be clear and authentic. The visuals need to be believable and intriguing. And the ask and benefit need to create desire and passion. It's asymmetrical warfare but it doesn't mean that it's asymmetrically helpful...And that goes back to, again, just because you can get people to come out to your crowd because you've got a more popular celebrity doesn't mean they're doing anything about voter choice. Some people came to see and hear Trump (Knee Jerk Alert - hold the politics...this is about marketing) while others came to see and hear Beyoncé and a host of additional celebrities. Warren G. Harding is often credited with securing the first celebrity endorsements during the 1920 election thanks to support from the Chicago Cubs and film stars like Mary Pickford. John F. Kennedy had the "Rat Pack." Ronald Reagan had Frank Sinatra. But study them closely. Kennedy could have been a member of the "Rat Pack" because of his cool, and Reagan and Sinatra were obvious--authentic, clear, intriguing and believable. And I'll add one more: focused. The Washington Post reported on a BuzzFeed study that "found that adults aged 18 to 49 trust news and political information shared from friends more than news delivered from other sources." And this is, in fact, the true power of our digital social world where we have taken our sharing DNA and put it on hyper-drive.